Classical music is full of cult figures, all very different from each other, but with one thing in common: they are all human. Yes, I am stating the obvious, but sometimes it is necessary to remind ourselves of this fact, particularly when the degree of worship reaches absurd heights. There is a question that I see resurfacing every now and then, and that is whether we should separate art from artist or take both into consideration when evaluating a work of art. What to do when we admire the work of an artist whose political ideas, moral principles or worldview we disagree with strongly? Should we put those concerns aside or should we learn to dissociate the work of art from its creator and study them separately? I believe both are necessary. Understanding the person, its time and geographical origins will give us a better understanding of the work, but we also need to focus on the work itself from an analytical point of view. In fact, musicians are taught both approaches at conservatories, we learn history and music analysis. While they definitely cross feed, an analysis class is very much focused on the purely technical aspects of a composition, such as harmony, counterpoint, form, rhythmic structure, etc. History class, on the other hand, will focus on the artwork’s relevance and surrounding circumstances at the time of its creation, and on the artist him/herself. Both are needed to having a comprehensive understanding of a composition, and while this depth of knowledge is not expected from the general audience, it is the presenter’s duty to provide as much information on both as possible. 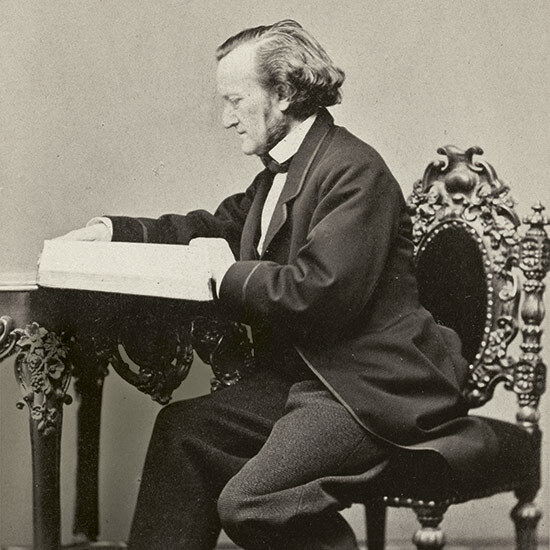 The classic case study is Richard Wagner. Many people, myself included, find his anti-Semitic views unacceptable, and even if we try to put them within a historical context, there’s no way to redeem him. Richard Wagner was who he was and he wasn’t trying to hide it (although he did hide behind a pseudonym at some point). How to deal with this? Well, the world seems to have found different ways to cope with it. An informal and widely accepted ban on Wagner’s music is in place in Israel to this day, and every time someone defies it, like Daniel Barenboim famously did in 2001 there is a huge public outcry in the country. The rest of the world hasn’t followed, with Wagner societies sprouting all around the world, honoring the musical legacy of the German composer. Hitler’s infamous association with Wagner’s music and ideals obviously has a lot to do with the controversy surrounding his work, and I must confess I also feel conflicted when listening to his music. Personally, however, that doesn’t stop me from enjoying the music and appreciating his genius, but every time I watch one of his operas, I take the plot with a few grains of salt, as I know what’s the thinking behind them. Carlo Gesualdo, the great Italian Renaissance composer, is best known for two things: his intensely chromatic music, and for murdering his wife and her lover. The worst part: he got away with his crime due to his status as a nobleman. Not that the rest of his life was necessarily full of joy; he spent his last years suffering depression and it is suspected he died either in the hands of his wife or his servants. His music, however, is truly remarkable, employing a degree of chromaticism baffling to this day and well beyond its time. His musical genius cannot be contested; his actions though, are truly despicable. Do I think about the crime he committed while listening to his music? Well, it does inevitably come to mind, but I do try to put that aside, otherwise I would be totally unable to derive any enjoyment whatsoever from the music. Other arts are not immune to controversial personalities, as evidenced by Pablo Picasso’s reprehensible misogyny or Ernest Hemingway’s estranged relationship to his children, one of whom wrote a bitter letter blaming him for his mother’s death. Examples abound, unfortunately, of great artists exuding anything but greatness in their personal lives. There is no doubt that understanding the artist allows us to better understand the art, but what if the artist is someone who is less than inspiring, and whose life choices repulse instead of uplift us? There are plenty of articles written about the subject, but it is rare to get a glimpse from protagonists’ point of view, and since you didn’t come to read just another article about this matter, let me share my personal experience. As a composer, I can testify to the challenge of keeping a balance between one’s personal and creative life. I try to be the best person I can, but I do not always live up to my own standards. This is not meant as a mea culpa, just as an acknowledgement of my own imperfect human nature. Of course everything can be excused by placing a shield between creator and creation, but in truth they are only inseparable for those who are on the receiving end, not for us, the creators. No, we must deal with ourselves day in and day out, with all our virtues and imperfections. 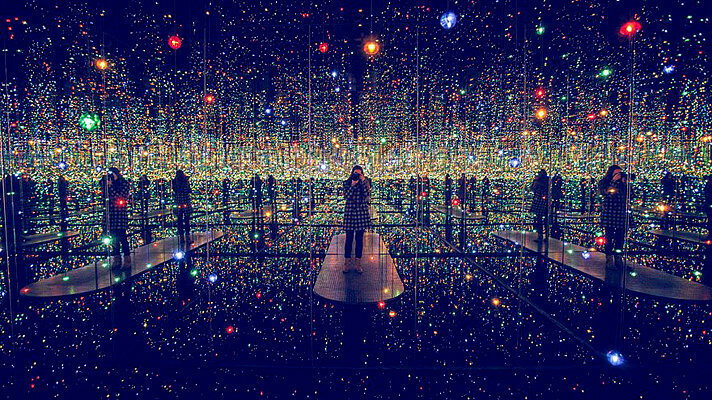 Some of us choose to work our issues through our art, and the result can be very powerful, like Yayoi Kusama’s incredible visual creations, which are her own way to deal with mental illness. Others choose an external cause, an ideal, like Ai Weiwei when confronting the Chinese State and its brutal suppression of freedom of speech. Creating is a lonely endeavor. When I sit in my studio I do so for hours on end, without interacting with anybody but myself and my own thoughts. When I was a teenager I had real difficulty participating in tasks at school that involved any kind of cooperation. I would always prefer to work on my own, and anytime a group assignment was given, I tried everything in my power to dominate the conversation and lead the group. Sometimes my classmates would abide, but sometimes they would resist, and this genuinely irritated me. When many years later I shared this with a psychologist friend, she suggested I could also gain knowledge by opening my ears to other people’s opinions. I realized I was coming through as arrogant because I was basically sending out the message that no one knew better than me, and that I considered my judgment to be better than everyone else’s. When it came to sports, I too preferred individual sports such as swimming or combat sports like wrestling because that avoided the whole “cooperation thing” that I so much dreaded in my mind. No wonder composing was the ideal outlet for me; I had complete control over all variables, at least until it was time for rehearsals. This obsession with doing things my way started to infiltrate other aspects of my life, and I was perceived as a strong-headed, stubborn young man who wouldn’t have it any other way but his way. This also informed the way I related to other people, including close relatives and romantic partners. I quickly learned that this behavior wasn’t going to bring me a lot of sympathy, but I just didn’t know how to do things differently. It was not until life offered me a few humbling lessons that I understood how not to underestimate other people and to take other people’s ideas into account. Writing an opera was a great lesson in cooperation, as I had to continually share my progress with a group of collaborators right from the inception all the way to premiere night. I still mostly compose in the solitude of my studio, but I have now learned to be more open and receptive when the occasion calls for it. Had I not corrected this behavior, though, I would have started to head toward the dangerous path of tyranny, something that some orchestral conductors of the past were known for. 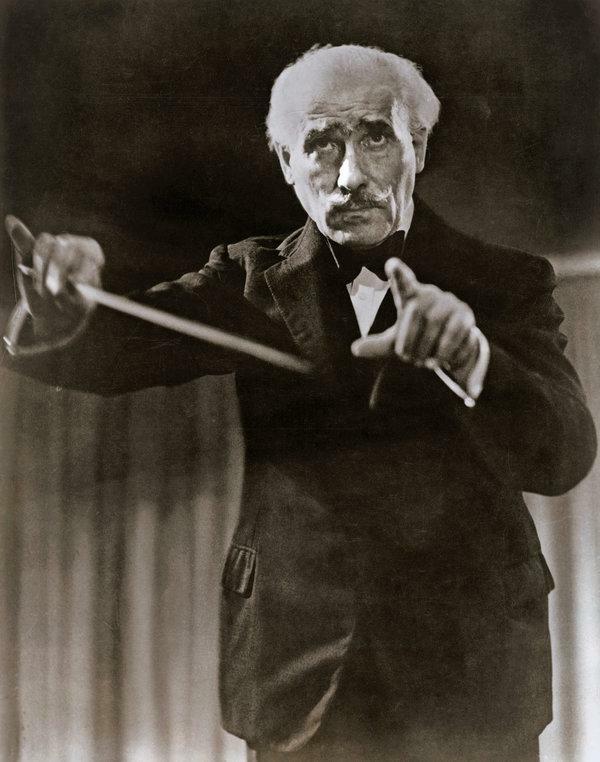 Conductor Arturo Toscanini is known to have lost his temper on more than one occasion. Now a dying breed, the image of the authoritarian Maestro used to be somewhat widely accepted and even desired. Luckily times have changed and abusive behavior is no longer tolerated in orchestral circles. Our whole society has, as a matter of fact, become less tolerant to intolerance. 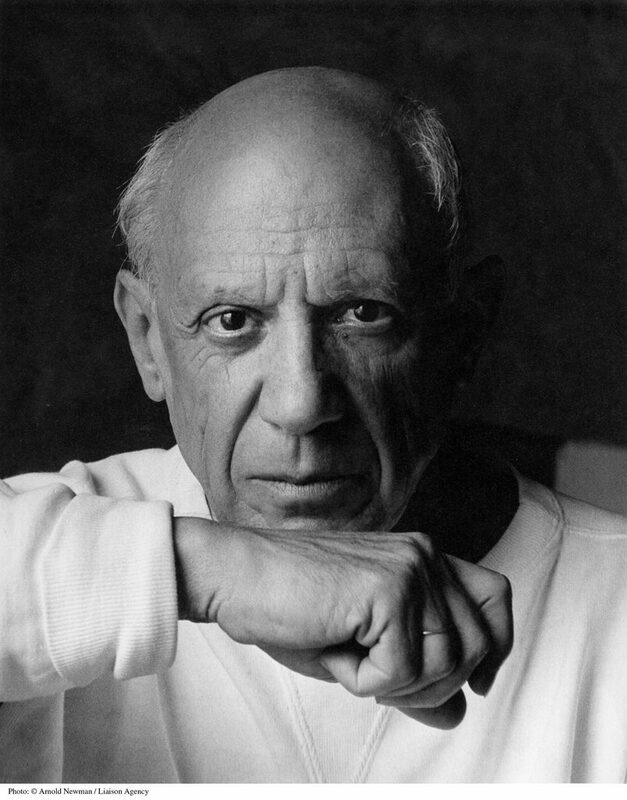 The #MeToo movement is proof of it, as it has brought down many prominent personalities across several fields; Picasso would not have survived. I see this as a positive development, and I am thankful that I had opportunities to correct my behavior. The issue with many artists is that we tend to remain in our own little imaginary world, and if an artist is increasingly worshipped this will lead to an inflated ego that will make him or her believe that he/she can get away with anything. Very much like our President, who famously said he could shoot anyone on 5th Avenue and not lose any voters. The frightening thing is that he was probably right. 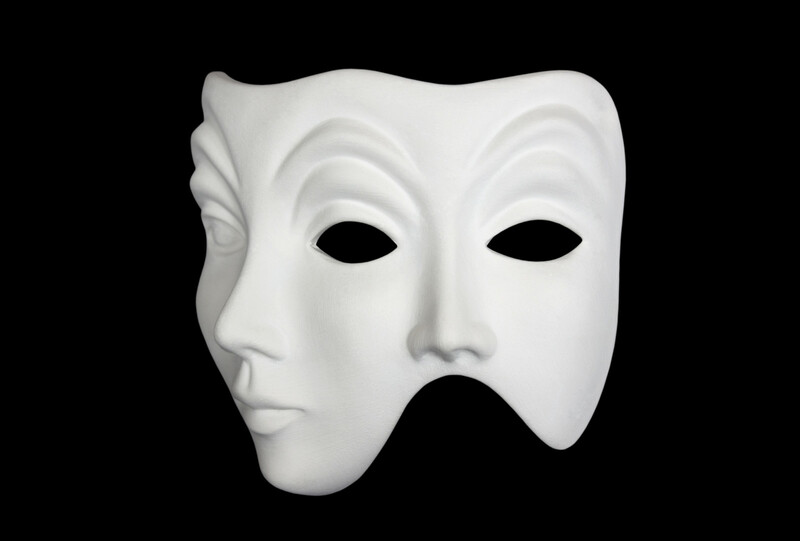 In the arts circles many people have grown to believe they are either superhuman or god-sent, and that self-anointed grandeur, supported by legions of adoring fans, does nothing but reinforce this thwarted vision of themselves. This goes to show how important it is for any artist of any kind to keep grounded, humble, and open to criticism. Obviously, the opposite extreme, unforgiving and deleterious self-criticism, can be crippling. It’s all about finding a balance, one of the hardest things to do, but as a true Libra, I like to make this principle one of my core values. Has improving as a person also improved (or worsened) my art? I honestly don’t think so, but it sure has improved my life and the way I relate to other people. Within the composition circles I have met all kinds of composers, some extremely socially skilful, and some awkwardly timid. All of them create interesting and compelling art, and one would be at fault if one tried to find a correlation between the composer’s personality and the way their music sounds. As a matter of fact, sometimes they are complete opposites. I can speak for myself, as I was helplessly shy as a child, but my music has always been quite extrovert. Nowadays, I come across as a more open and social person, although still quite reserved, but not to the point of wanting to exit whenever I encounter a large crowd. The audience though, does not need to be exposed to all these personal details. The reason they go to the symphony is to listen to a great selection of musical works, not to be lectured about the demons that the artists had to deal with. In other words, what matters to some doesn’t necessarily have to matter to others. Yes, it can be enlightening to understand the composer’s personal circumstances at the time of the composition but that won’t make me change my mind about the inherent qualities of the composition itself. It is important to strive to be a better person not because it will make our art better or worse, but because it is simple, basic decency. The “problem” with writing music, for example, is that it stirs the emotions of the composer (I can speak from personal experience) and this can lead to emotional instability. It is at these moments that we are at our most fragile, and in this state our judgment is clouded. There is no excuse for bad behavior, but there is usually a reason behind it. Learning how to control one’s emotions is one of the hardest things to do, especially because while writing music we are deliberately trying to elicit extreme emotional states. In writing my latest composition, for example, an oratorio titled Dreamers, I had to deal with a heart wrenching subject and I had to do so after interviewing several so-called dreamers who shared their life experiences with me, sometimes in tears. Interviewing them was emotionally taxing, and writing the piece was truly draining. Almost after every day of work I would feel completely exhausted and this sometimes translated into very brief episodes of depression that I was able to overcome with the help of my husband and loved ones. Granted, not all commissions are as emotionally demanding as this one, but when I come across such a commission, my personal emotions end up quite stirred, taking a toll on myself and those around me. Recovery can be slow, but it is key not to lash on others or indulge in short-term behavioral patterns that can end up bringing long-term damage. 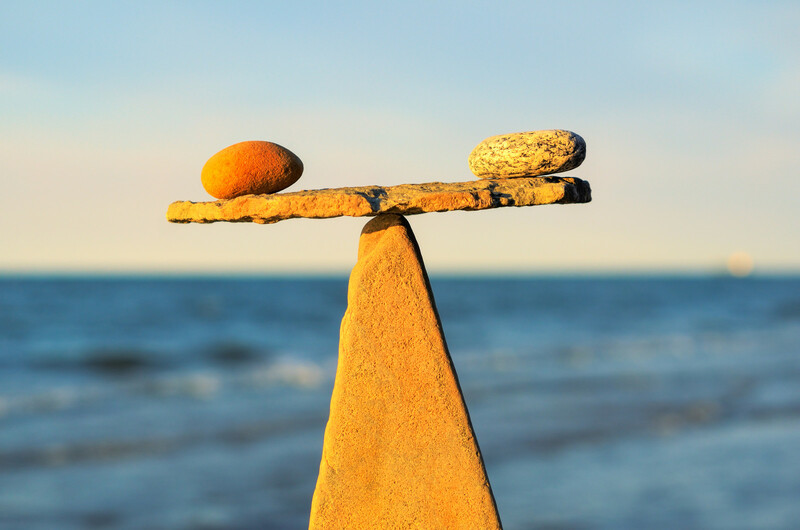 Finding a balance in life: not an easy task. This entry was posted in Composing and tagged #metoo, Ai Wei Wei, Anti-Semitism, Archimedes, Arturo Toscanini, balance, Carlo Gesualdo, Daniel Barenboim, depression, Dreamers, Ernest Hemingway', eureka, Herman Hesse, oratorio, Pablo Picasso, Richard Wagner, Siddartha, Yayoi Kusama. Bookmark the permalink. Dear Jimmy. An interesting and thoughtful article. My comment is to a very minor point regarding music history. You repeat the commonly held view that Carlo Gesualdo’s music was characterized by “a degree of chromaticism baffling to this day and well beyond its time.” I beg to respectfully differ. There was a whole school of composers working in a highly chromatic style at the time of Gesualdo. He was influenced by the maestro of the d’Este court in Ferrara, Luzzasco Luzzaschi (a fantastic, almost unknown composer, who also wrote in a chromatic style). Other notable figures in this movements were Luca Marenzio, Michelangelo Rossi and Tarquinio Merula. But we tend to have a over simplified view of history, because only the music by famous people gets to be remembered. Keep on writing. It is a joy to read your thoughts! Thank you for your insightful comment, dear Eero. I have looked into the composers you mention and I find their music truly fascinating. The evidence you bring to the table does indeed put to rest the notion that chromaticism per se was something unusual in Gesualdo’s time. As another colleague pointed out to me shortly after publishing this article, the list goes on to include Giovanni de Macque, Ascanio Mayone, and other Neapolitan composers who wrote daringly chromatic music. Also, visionary Composer Nicola Vicentino built the Archicembalo, a 31-note-to-the-octave harpsichord in the 1550s.